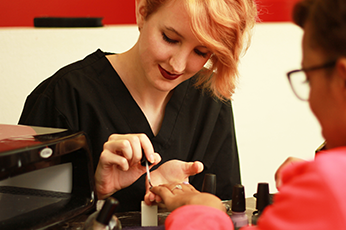 UA Cossatot may be a smaller college, but its community is large. Many students and faculty feel that becoming a UAC student is really joining a UAC “family.” With events and common areas throughout each campus in De Queen, Nashville, and Ashdown to build the UAC community, there are countless other opportunities for you to grow as a leader and get assistance with coursework as needed. 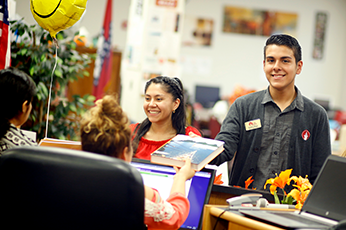 Explore the many facets of UA Cossatot below including new student orientation and graduation information, how to get involved on campus, and a wide range of academic success services and student accommodations. The Colt Kicker, UA Cossatot’s new student orientation, is designed to prepare you for your first day of class and for lasting success as a UA Cossatot student. Your attendance is mandatory during your first semester with UAC, but don’t worry, it’ll be worth your time! Not attending class and not logging into online classes can lead to you being dropped from the course and having to pay back financial aid awards. Read through all class attendance policies using the "Attendance & Student Policies" link above to avoid exceeding the maximum number of alloted absenses in a term. Use this "Graduation Information" link above to learn more about commencement day, required applications for graduation, helpful resources and forms, and what to expect during your graduation ceremony. From sports to FFA, UA Cossatot offers diverse student organizations to give our students a chance to add to their UAC experiences with campus involvement. With this exposure to a diversity of extracurriculars, it’s UA Cossatot’s belief that a student will become a stronger community member and leader. The ERC provides tutoring and library services on all three of our campuses. The Center for Student Success exists to provide support, resources, motivation, and assistance to all students of the college as they progress through their educational experience at UA Cossatot. Veterans, women, and minority communities are encouraged to explore all the specialized resources that the Center for Student Success has to offer. If you are an adult student with a disability, you may face a variety of obstacles unique only to you. Earning your degree here at UAC may, at times, be academically challenging, as it should be, but Disability Support Services will be here to assist you in making sure that you have equal opportunities and fair accommodations to succeed in each of your academic endeavors. UA Cossatot wants to make it easier to dine on campus! The Campus Corner Café is available on the De Queen and Nashville campuses and is open to the public. Read about student experiences, college success tips, and more on UA Cossatot's blog, CossaTALK. UA Cossatot is committed to student and campus safety and is required by federal regulations to make certain information available to you as a student or as the parent of a student. You will find Title XI information, safety reports, information privacy statements, and more here.